He has been one of my best friends since moving to Playas along with the Fishman, the fruit and veggie man and of course my new-found friend the Herbman. 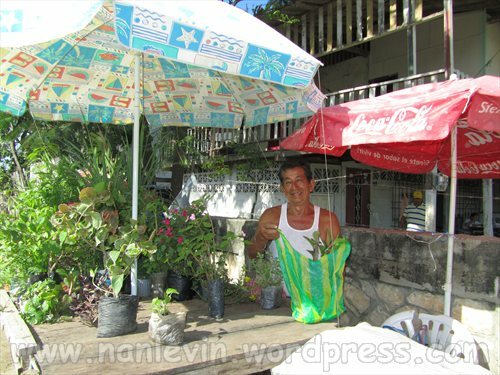 I have probably purchased 10 plants from him as well as bag after bag of soil. Today’s find was too beautiful to pass up. Most of what I have purchased from him has been herb plants but today this beauty caught my eye. He is located behind the Public Mercado. He does have some beautiful flowering plants, vines and even trees..My problem is I am living in a rental so if it cannot fit it in a pot I cannot bring it home. One day we will find the “little beach hut” of our own and I will fill it with all these fabulous plants. 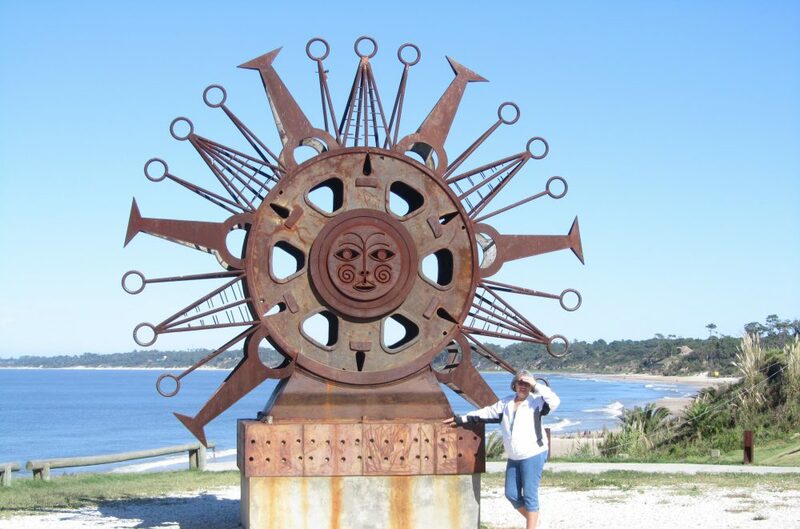 This entry was posted in Ecuador, Flowers, General Villamil Playas, Herbs & Spices, Plants, Playas and tagged Beach living, Ecuador, Expats, Retired, South American by Nancy Levin. Bookmark the permalink. Nancy, I see the sunshine outside, and rich greenery! Nice looking tropical-type plant that I am familar with. 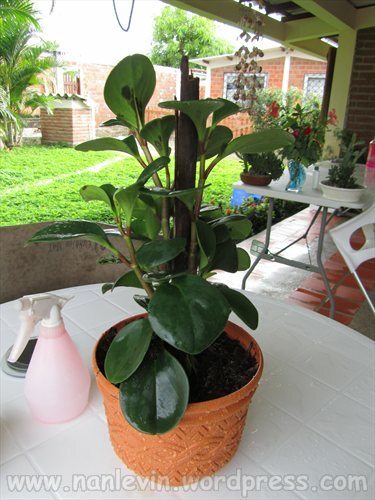 The leaves have a glossy surface and in some Caribbean islands they call it the “oil plant” (oily looking surface).